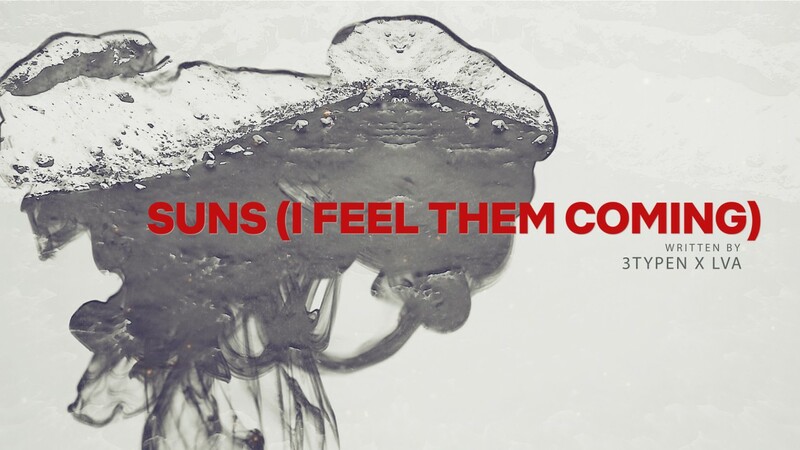 Today (1.2.2019) we’re happy to announce our new release „Suns (I feel them coming)“ we wrote together with LVA from Amsterdam (Netherlands). Together with a Lyric Video the Song will be available today on the most common digital streaming & music platforms like Spotify, iTunes, Deezer or Amazon. See a full list here. Suns (I feel them coming) is produced by 3typen, Mixed by Yunus Kingsize Cimen and Mastered by Robin Schmidt at 24-96 Mastering.